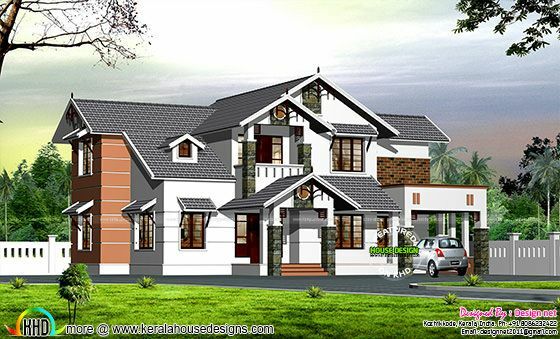 2600 Square Feet (242 Square Meter) (289 Square Yards) 4 bedroom sloping roof dormer window house architecture. Designed by Designnet, Kozhikkode, Kerala. 0 comments on "Dormer window modern sloping roof house"